You think Subway’s $5 footlongs are a good deal? How about a $30,000 bass boat for $5? 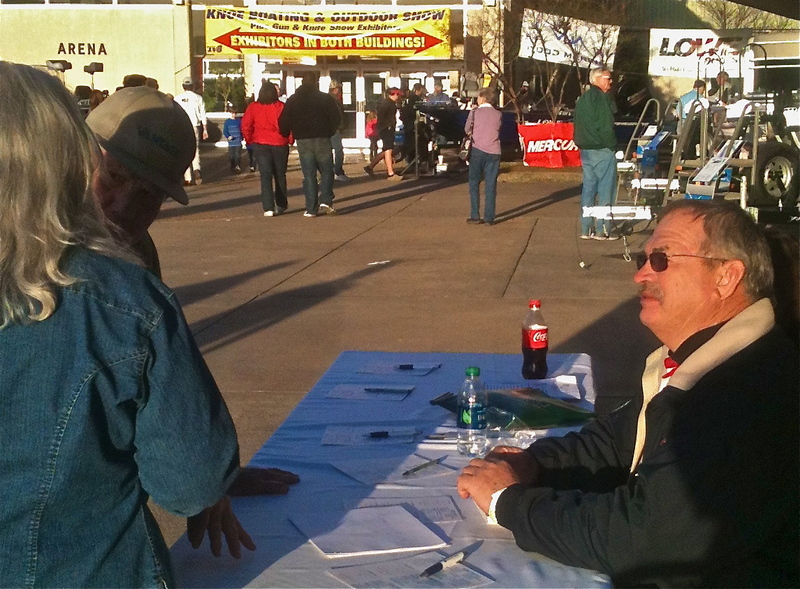 Come this spring, some lucky ticket holder will have just that. 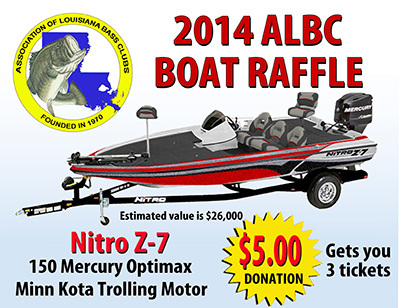 I would encourage you to buy a ticket, but I already bought the winning one from Association of Louisiana Bass Clubs regional director Steve Cagle at the boat show this spring. Steve is also the chairman of the D’Arbonne Lake Commission, so I know he’ll be glad to know the boat is coming home to the “Bone“.. Okay, so there is a slight chance that one of the other lucky ticket holders may actually win the big rig. I guess we have to wait on the drawIt’s a fully rigged Nitro Z-7 with a 150 Mercury Optimax. If you feel like going head to head with me and buy your own tickets, you can contact Steve at Scaglefish@Yahoo.com or another ALBC member. « Threat to my spring fishing!